Stickering planks, placing sticks between boards, also helps with airflow. If you can, keep items off the floor. Logs are best kept in 3ft. lengths, minimum, with their ends protected with wax, PVA or cling film etc. 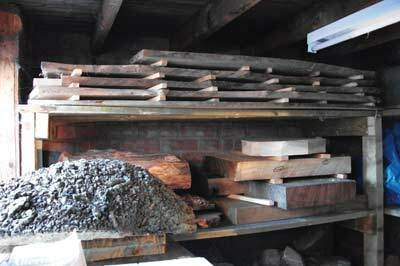 There are many problems associated with looking after your timber stock. The main enemy is damp - moisture - which encourages wood bugs and fungi. But if you try to dry it too fast, it will crack. 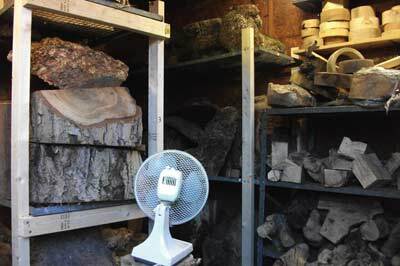 As the wood dies there are some temperature and chemical changes and the moisture content encourages mould, which starts the decomposition and rotting process. Some people try to induce spalting to create those wonderful dark lines that epitomise this process, but, this is not usually done in your storage area. 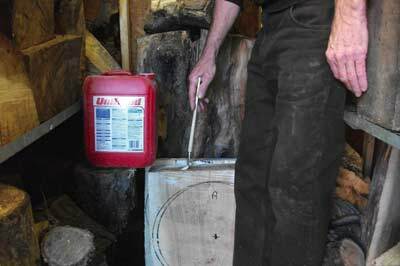 So let's look at a few things that will help you to look after wood so it is in tip-top condition, ready to cut or turn.